Elegantly designed exterior landscapes can greatly enhance the appearance, curb appeal and market value of almost any home or property. Even large-scale landscaping projects can often be completed with relatively little cost and may add several thousands of dollars to the market price of a home or other property. Advanced options, such as hardscaping installations, xeriscaping or more ambitious layouts and designs are more than able to pay for themselves should homeowners ever decide to sell their home or investment property. Even the most attractive homes may still lack curb appeal. Professional landscaping designs and exterior renovations often provide the single most effective way for homeowners to create and maintain the level of curb appeal needed to enhance the market value of a property. Landscaping maintenance and installation services can be a valuable resource for homeowners seeking to protect their investment. Curb appeal projects can provide a significant return on investment for home and property owners. In addition to costing far more, interior renovations and home upgrades may do little to improve the overall impression a property is able to make on prospective buyers. While interior renovation projects can be beneficial for creating a more comfortable home or optimizing the market value of an investment property, interior upgrades often fail to provide the level of results that professional landscaping designs may be able to offer. While often less costly than interior renovations, landscaping upgrades may still come with a hefty price tag. Restoring existing stone work, professional surface and grout cleaning and other maintenance services that may improve the appearance of existing hardscape materials can significantly reduce overall costs. Professional maintenance services can provide property owners with a more affordable way to improve curb appeal by restoring a faded or neglected landscape to its former glory. Professional maintenance services can even be of benefit for those undertaking a radical redesign of their landscape. Incorporating existing installations into a new design or restoring and reusing landscaping materials can provide a level of savings that few property owners can afford to overlook. From basic upgrades and maintenance solutions to more ambitious landscaping designs and complex renovations, the services and assistance of a qualified and experienced professional can be a key asset. Property owners often lack the tools, expertise and resources needed to tackle large-scale landscaping renovation projects on their own. Working alongside the right professional can provide superior results and ensure that homeowners are not forced to make due with a limited range of designs, options or solutions. Dealing with the wrong landscaper or overlooking the service providers that may have more to offer can be a very costly mistake. Elegant landscaping design, hardscaping installation or restoration services that make the home more attractive can all make a huge difference. Property owners who overlook the importance of curb appeal may find themselves hard pressed to enhance the overall value of their investment. Landscaping projects that may be completed for a fraction of the cost of a room addition or other interior renovation provide a proven and effective way to add thousands of dollars to the market value of a home. The addition of hardscaped walkways, terraced landscaping or stone borders can do much to improve the overall appearance of a home. Would like information on landscape. This is a great article and is very insightful. The curb appeal and look of your house from the outside and make or break your home. I have found that a proper landscape that actually complements the style of home you own can have a more significant impact on your homes value then thought. A lot of people do judge a book by its cover and in this case a home by its landscape. I agree with the restoring and maintaining existing hardscape on your property. Why fix it if it ain’t broken. Sometimes it just needs a little TLC, which can make a big difference. Thanks for the great article and useful info. Thanks for this great information about those elegantly-designed exterior landscapes which can greatly enhance the appearance and market value of any home and property. It will surely give important ideas to folks out there with their landscaping needs. The information presented here is truly informative. 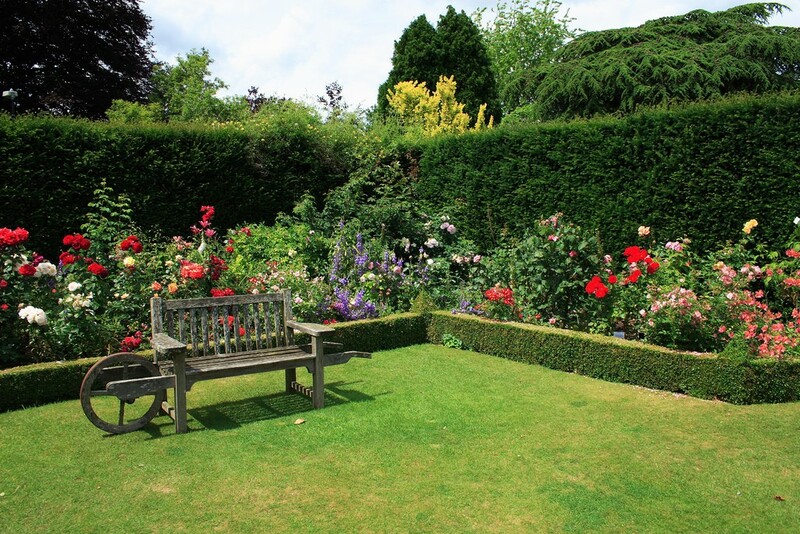 Elegant landscaping design, and restoration services like this indeed make the home more attractive and personable. Visitors will surely notice the big change for the lawn if this processes is applied. Lastly, professional maintenance is a 100% benefit for an outstanding landscape therefore the tips here are gem in landscaping. Great read. I own a tree service company and we do a little bit of landscaping as well. The end result of your project looks great. Great topiary, and diverse plantings. Enjoyed this. Glad I bumped into it. Curb appeal is one of the major drivers for sales and resales. Keeps this economy moving too. As a realtor, I can tell you first hand, that first impressions are so important. If I take a buyer to a home where the landscaping is done right, I can hear the ohs and ahs before we’re out of the car. They go in with a much more positive attitude towards the home. Definitely worth the time and money. Agreed. Lee Flynn. I second you. Professional and experienced persons are key asset for land sapping projects. I do own an online Landscape designing shop. I hired a less experienced employ in my company, he let me down in my first project. After that i hired a professional expert. He boosted my business. Now we are leading company in Arizona. I recommend all to hire always an experienced professional for their property’s landscape. You really hit the nail on the head. Thank you for taking the time to write this article. It’s something that I really can’t stress enough to my clients. They become so concerned with how much they’re spending and very quickly forget that landscaping/landscape design can be an investment. If nothing else, it’s a first impression and sometimes the only impression as more people will drive/walk by your home than will enter your home. And it doesn’t even have to be expensive, it can just be a simple redesign! I like everything you said and couldn’t agree more. Keep em coming! I came across this article and i love it! the curb appeal part was easily my favorite part. i take great care of the outside of my home and its crazy how many people don’t. great article over all, thanks for writing it and sharing all your ideas with us! Great post, as a local landscaper I get customers all the time asking what we can do to increase the value of their home. I always say really anything to make that curb appeal more attracting. Small easy to take care of plants and shrubs are best with powerful colors. Thanks for sharing your knowledge!! We have seen a huge uptick in landscaping for exactly this purpose in the areas that the housing market is hot. When working with some local realtors the numbers show that houses with well landscaped yards are selling for 10-20K more in this area when compared to their comps. Great article!! Good to know info! Especially since my wife and I will be building a house and making plans about how to do our landscape. Thanks! Its amazing how much changing the landscape can change a home! I found it interesting when you said that each landscape service plays a very important role in our home. If this can really add more value to our property, I guess I need to talk to my husband so we can put some curb appeal into our landscape. A stone border can also be a good option. I totally agree. When you invest something that can beautify your house it becomes your asset. It adds value to your house as well as adding a curb appeal to your property. Thank you for your well written and content rich article. I’m a landscaper who has just started my own business and these are the things I find myself preaching almost daily. Look forward to reading more of your content.